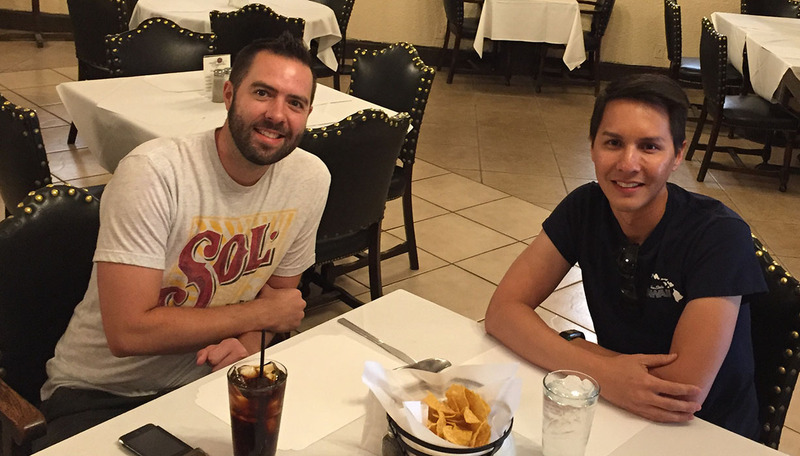 Occasionally, my friend Jason and I like to get together for lunch. 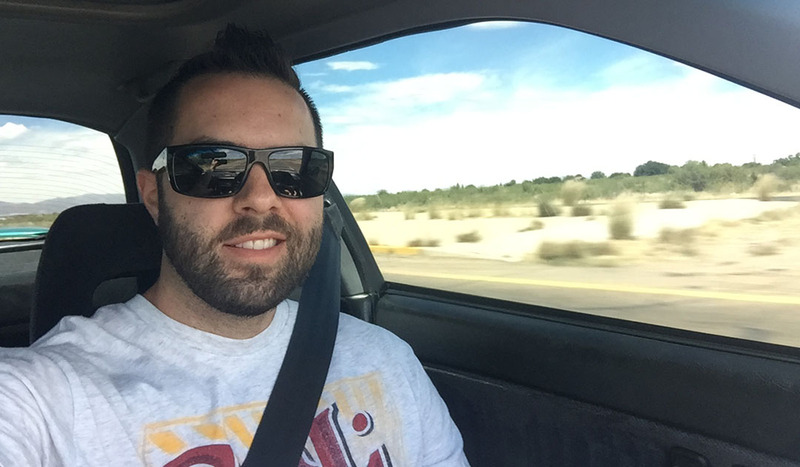 The only challenge is, Jason lives 388 miles away and in another state (Las Cruces, New Mexico). 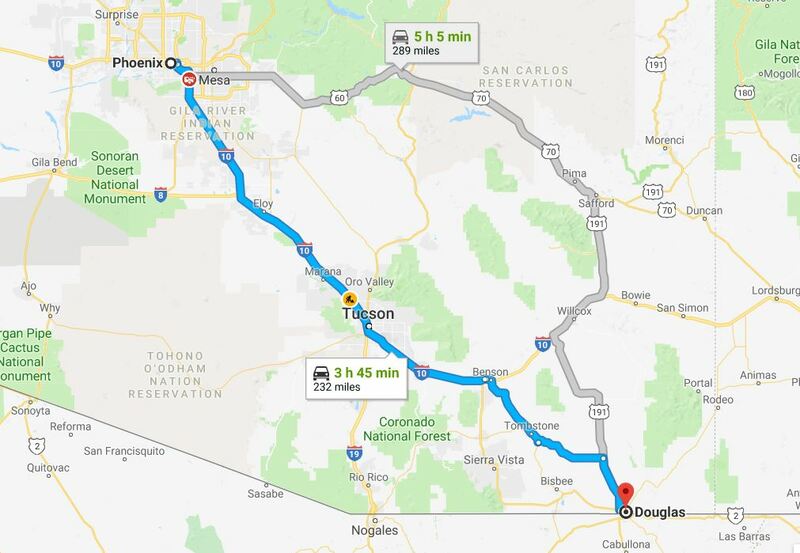 Though for us, that “challenge” is actually an “opportunity.” Over the years, we’ve targeted some awesome midpoint destinations like Duncan and Willcox. 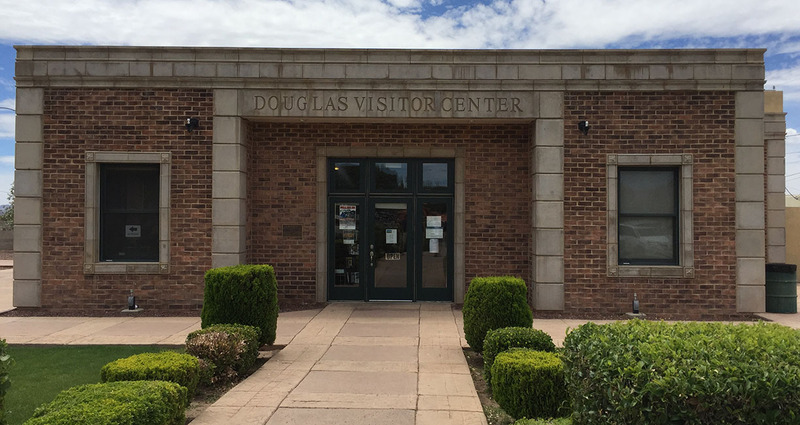 This time, we decided to head to the historic Mexican border town of Douglas, Arizona. Incorporated in 1905, the town was named after a mining pioneer named James Douglas and was home to two copper smelters. 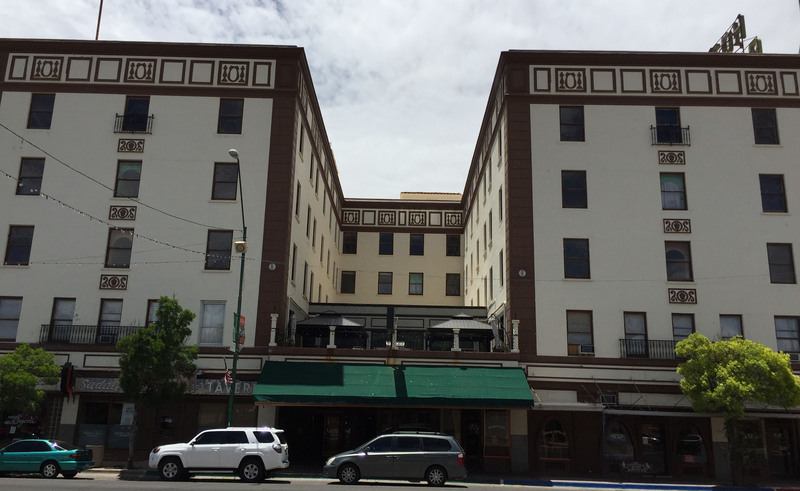 Perhaps its most significant architectural structure is the Gadsden Hotel which opened in 1907, destroyed by fire, and then rebuilt in 1929. 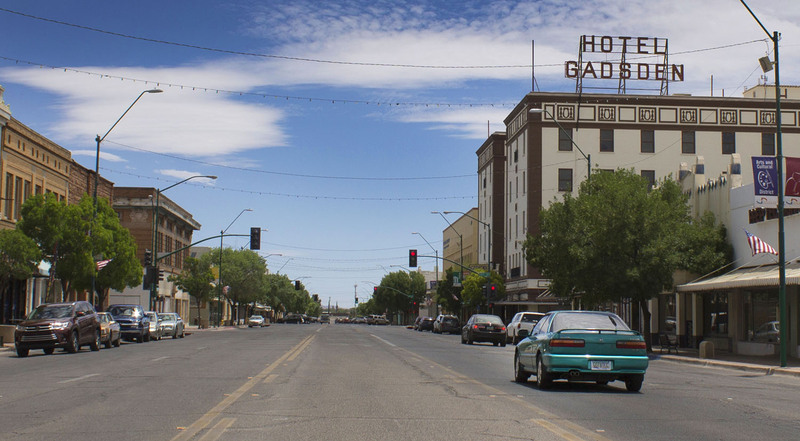 The Gadsden name comes from James Gadsden, who was the U.S. ambassador to Mexico in 1853 when the United States bought a 30,000-square-mile region from Mexico via treaty. 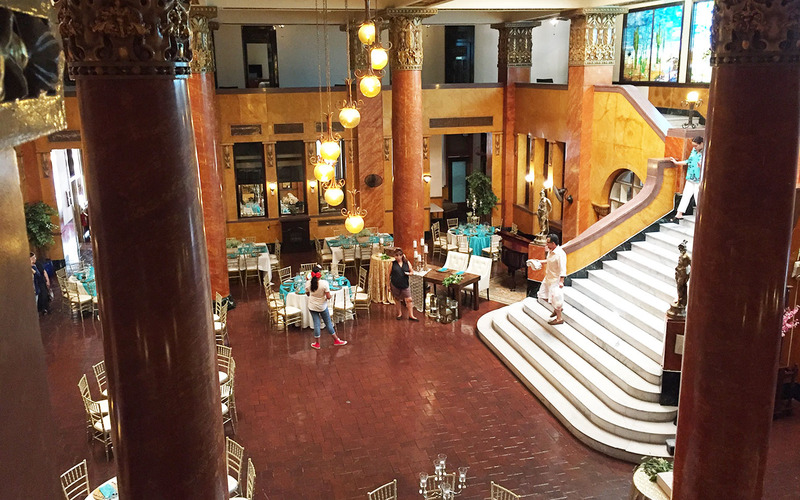 The hotel itself is a five-story, 160-room building with elaborate features like a Tiffany & Co stained glass mural across one of the walls in the lobby. It seemed like the perfect destination for our Saturday lunch jaunt. And short of being inside Mexico, wouldn’t you think that the best (or at least most authentic) Mexican food would be found as close to the border as possible? 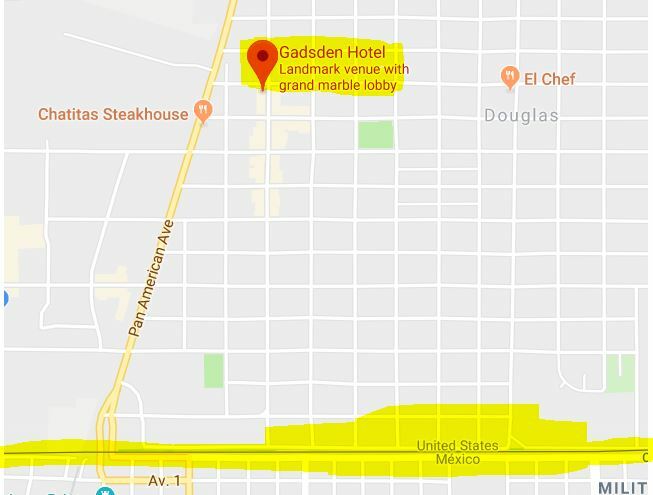 So it worked out perfectly that Casa Segovia at the Gadsden is less than one mile from the international border checkpoint. 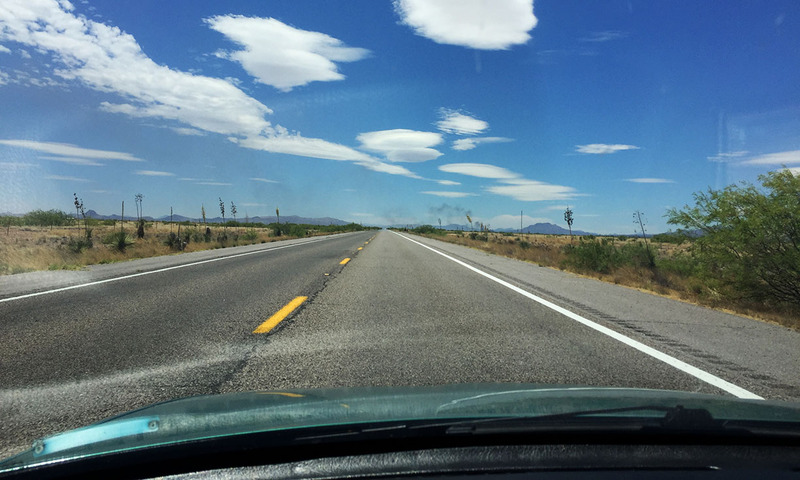 My drive started out around 8:00 on a Saturday morning – a little earlier than anticipated because we’d forgotten about the time zone difference between NM & AZ. 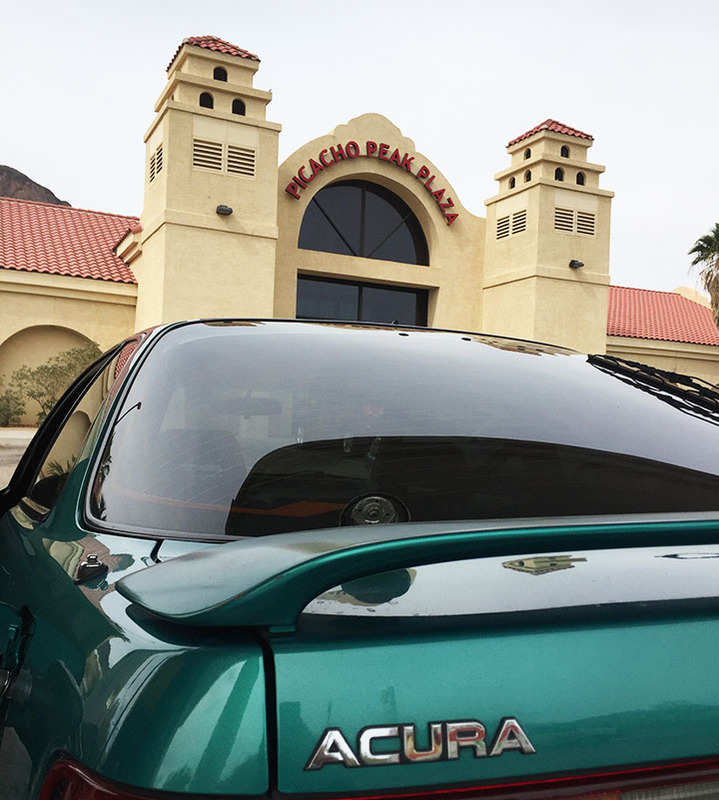 Arizona doesn’t observe Daylight Saving Time, so Jason got a jump on me, and I hurried to hit the road as well so that we could arrive in Douglas around the same timeframe. The Integra GS-R whirred to 4,200 RPM happily and stayed there for the next 3.5 or so hours. I did make just one stop, at Picacho Peak along Interstate 10 about halfway between Phoenix and Tucson, for some Lunchables and a Vitamin Water. Judge away! Meanwhile, Jason was on his way, too, but from the opposite direction. 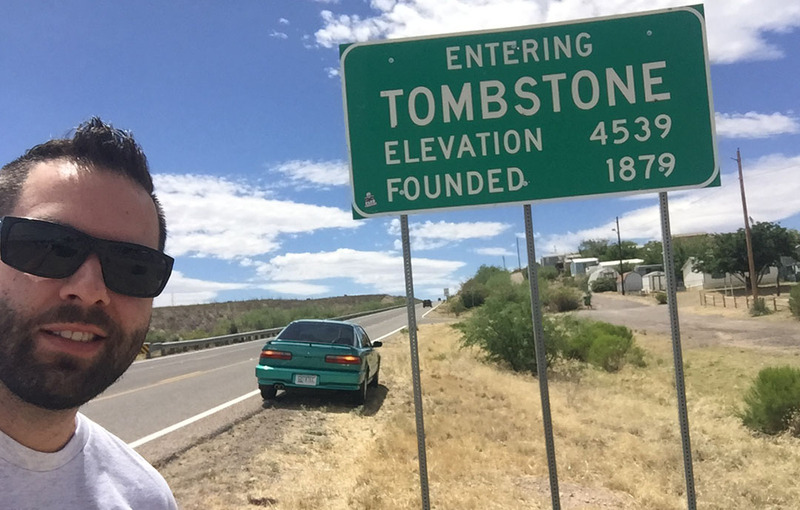 The last hour or so took me through some of southern Arizona’s famous old western towns, including Tombstone (“The Town Too Tough to Die”) which was bustling with tourists who were probably headed to the O.K. Corral to see a gunfight reenactment. 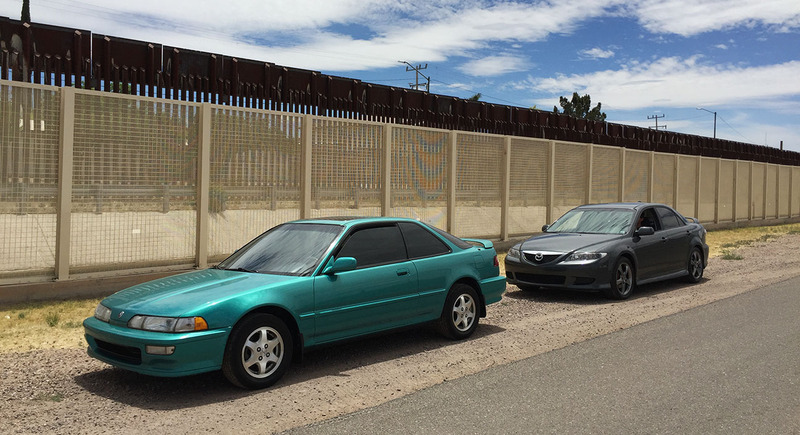 I motored on through town and found my way via Highways 80 and 191 to Douglas – so close to the Mexican border that I could see the international fence toward the end of the street. Jason was already there, snapping pictures and getting acquainted with the lay of the land. I parked the ‘Teg behind his 2004 Mazda 6. 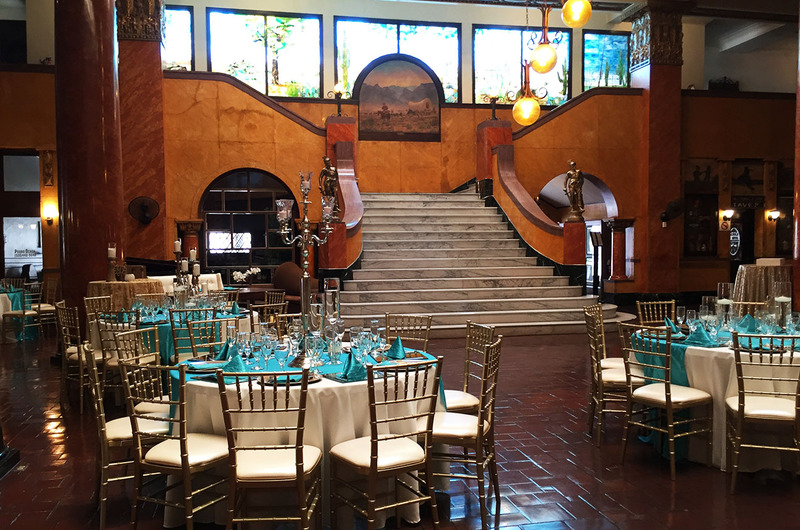 I was a little star-struck at how intricate some of the architecture was – a large rounded staircase dominated the foyer and for some reason reminded me of the movie Titanic. The woodwork was detailed, and the stained glass mural lined the entire east side of the roofline. There was a photo album on the front desk that I thumbed through to see some of the historic photos and newspaper articles that the Gadsden had been featured in. I also confirmed my suspicions about the hotel being primarily an escape for the elite: Eleanor Roosevelt was noted as having stayed there. I loved seeing all the brass keys hanging behind the registration desk. Real keys, from long before the days when we started using those newfangled credit card ones. 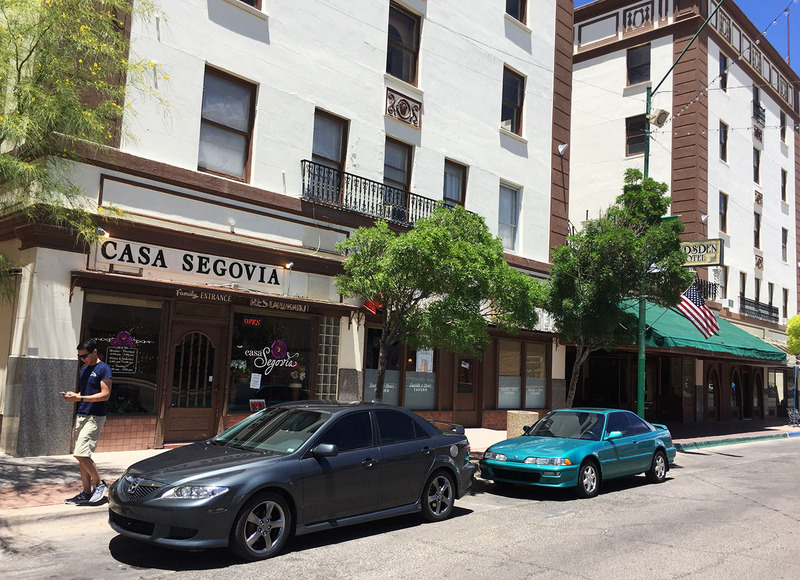 To our left was an entrance to Casa Segovia, the Gadsden’s in-house restaurant. Jason commented “I feel under-dressed for this,” and I muttered, “I don’t know how much this is going to cost,” as we walked inside. We were both pleasantly surprised: I honestly expected most of the entrees to be about twice the cost they were. Score. 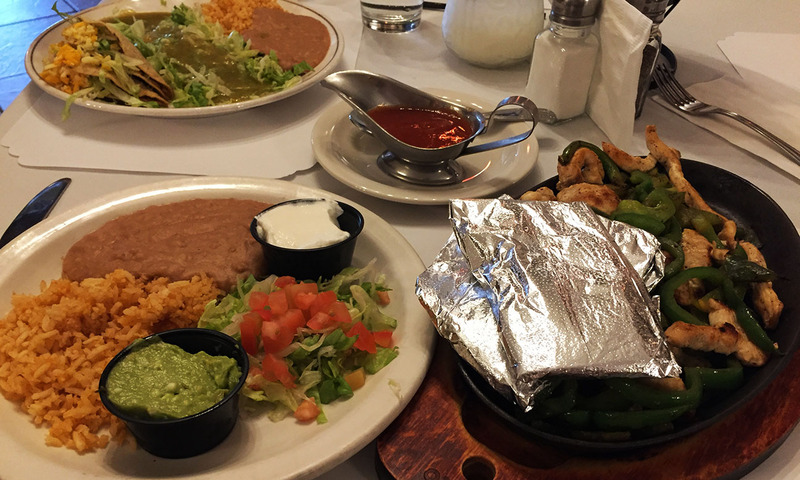 There was no doubt in my mind that I wanted something substantial and Mexican, so I went with the chicken fajitas, which came out still-sizzling along with two tortillas and some sides like guacamole and sour cream. TDF, they were. That means “To Die For,” a phrase I learned from my mother. Meanwhile I caught up with Jason who’d driven nearly an identical distance to Gadsden as I had, in his tried and trusty Mazda with 249,000 miles on it. Considering my Integra had 248,000, we collectively showed up in Douglas with about half a million under our belts. 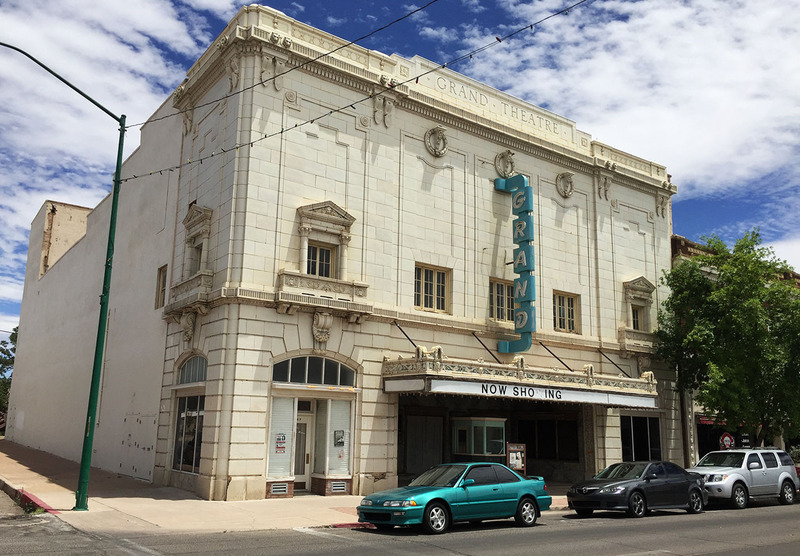 We took a few photos of the cars at other locations on “G” Street, including the Grand Theatre just a block north. The theatre’s marquee said, “NOW SHOWING,” but based on the looks of things, the only thing it was showing was its age. 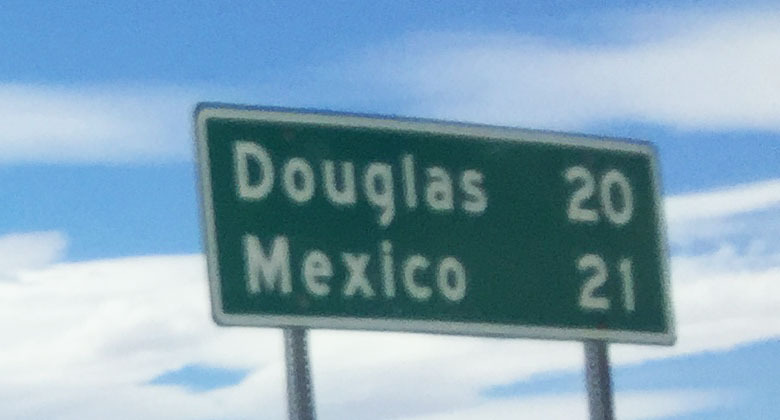 Next, we buzzed the 8 or 9 blocks south to the international border fence, but without a passport I wasn’t able to (nor had I intended to, for this trip anyway) cross into Mexico. And lastly we stopped in at the Visitor Center, equipped with stacks of pamphlets of brochures and a sign-in guest book which Jason and I of course tagged. Our visit was short but sweet in nature – all of 90 or so minutes spent together until we split ways and sailed to our respective homes in opposite directions – but we enjoyed catching up. Next time I’ll make it an over-nighter and request whichever room Eleanor Roosevelt stayed in. Parked and ready to eat! 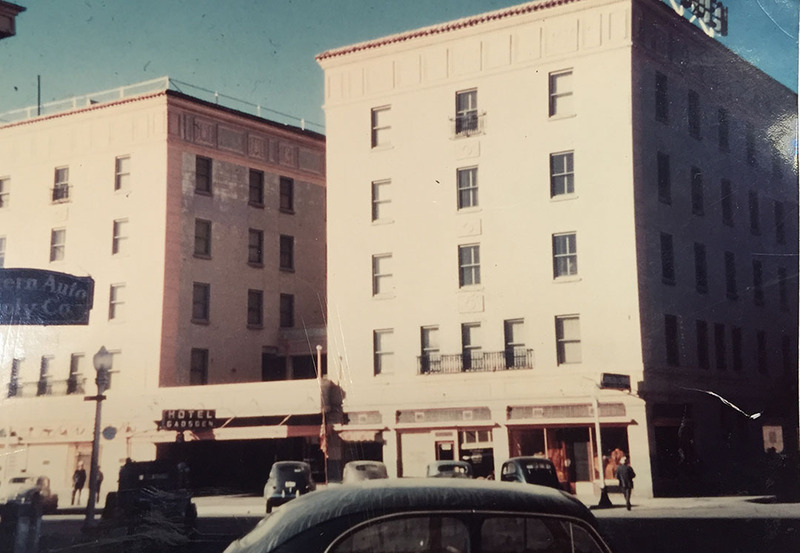 Historic image showing the hotel looking largely the same as it does today. 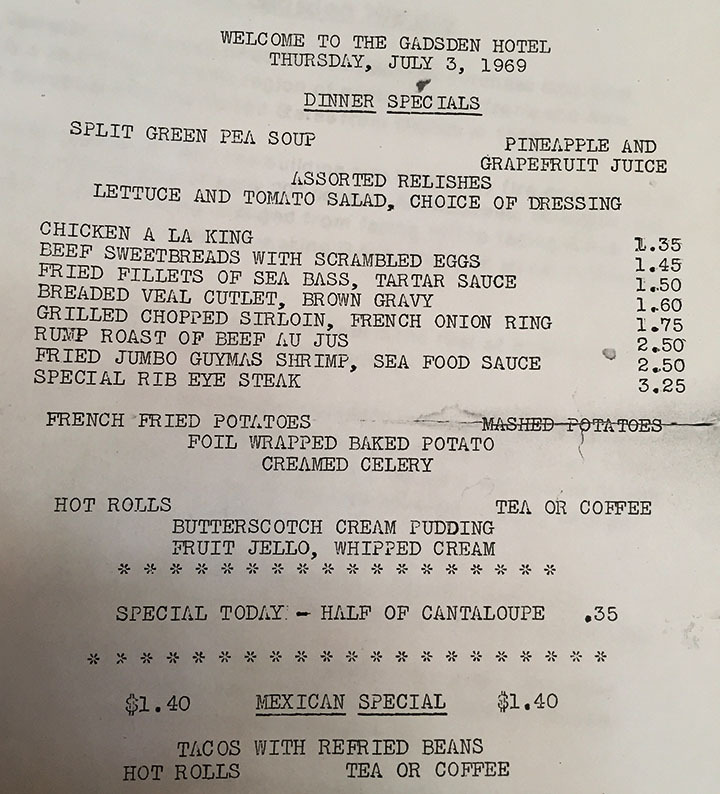 Dinner specials from July 3, 1969. It’s $3.25 for rib eye steak! 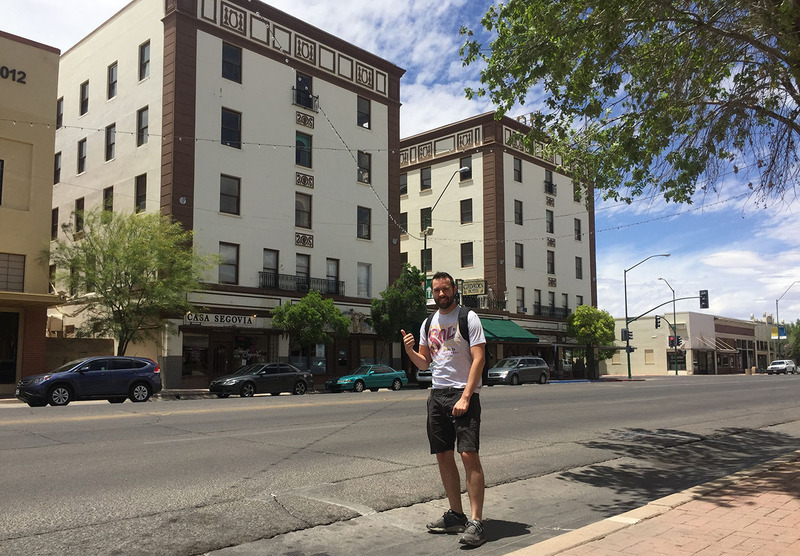 Stopping in Tombstone on way home to get a little dust on my cowboy boots, err… sneakers. 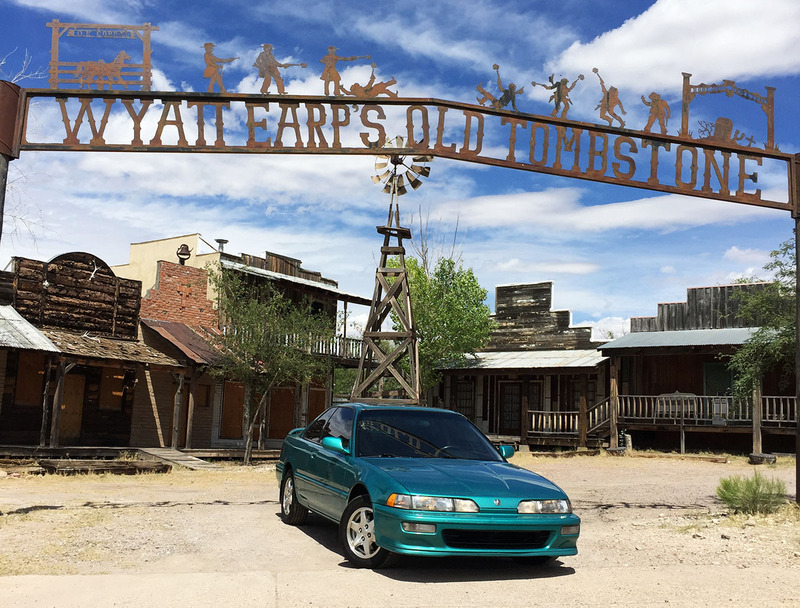 This entry was posted on May 27, 2018 at 8:07 am and is filed under Arizona, Integra, Road Trip. You can follow any responses to this entry through the RSS 2.0 feed. You can leave a response, or trackback from your own site. Fantastic post, Tyson. 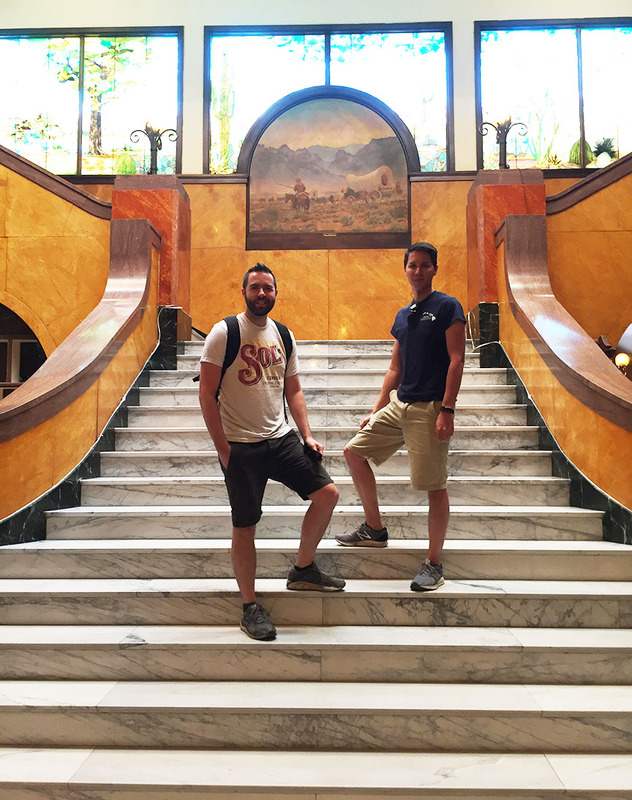 That hotel seems amazing- I’m always starstruck by old architecture, when buildings were designed to impress you (that lobby design was terrific), and cool photos too! 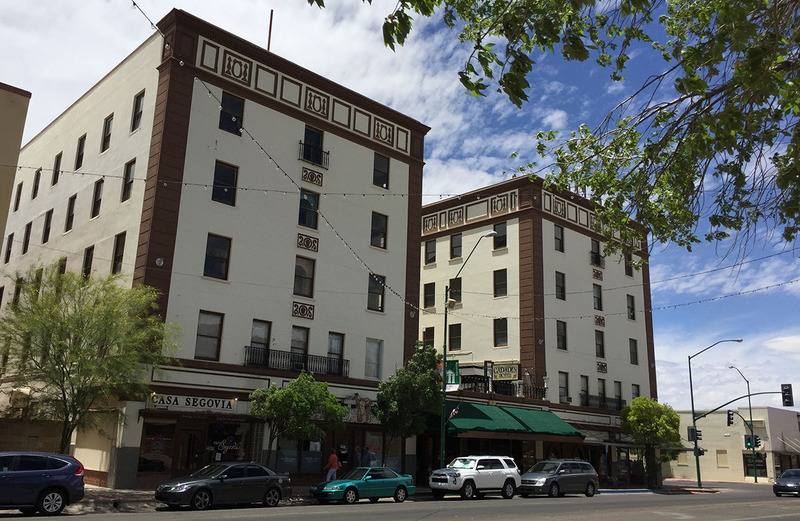 I appreciated the history and back-story of that hotel! Also, that food truly looked TDF. How is the GS-R holding up? Any updates to share? Haha, glad you’re catching on to the TDF acronym, Tim! Mom will appreciate that. The GS-R did well – I was pleased with that. It had the typical high revs, ABS light, and check engine light… issues I’ve sort of become accustomed to. There is a laundry list of items the car will eventually need but for now it’s a solid driver. Hope you’re enjoying the holiday weekend! Glad you made some use of the photos! Great meeting up with you again and seeing that minty Teg. Pun intended there. We can now check another small town off the list and a meal TDF! I’m borrowing that, by the way. 🙂 Cheers! Thanks for taking the time to meet up – there are very few people out there who would agree to driving 7 hours round trip for a 1-hour lunch. But I knew you’d be down. Have a great rest of your holiday weekend! I love investigating old towns like this, especially with such interesting history. 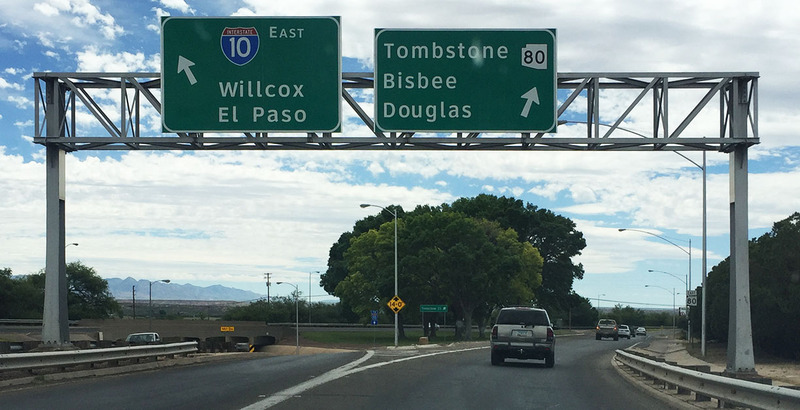 It looks like Douglas and the surrounding area – like Tombstone was a very wealthy once back in the day – much like all our old mining towns. Next time, you need to stay the night in room 333 and tell us if it’s actually haunted! 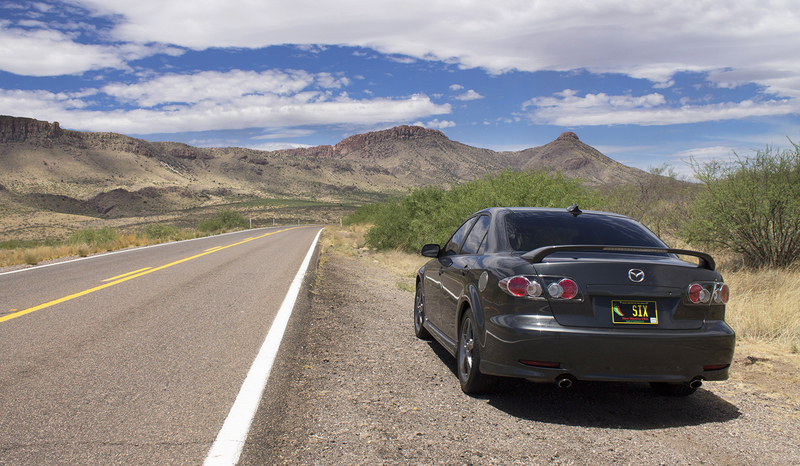 Got any big plans on how/where you’re going to celebrate your 250,000 mile-milestone in the GS-R? Haha, will do on the haunted room. Yes – Jason and I are actually thinking of coordinating our 250’s. 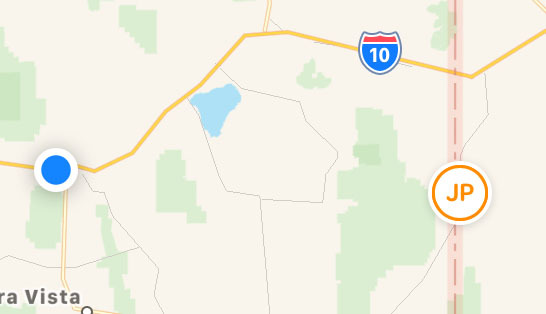 There is a highway in New Mexico called Highway 250. If we could get my GS-R and his Mazda 6 there at precisely the same date & time, it would be a great way to celebrate. But he’s way ahead of me! I want those fajitas! Looks like it was an interesting little trip. Always nice to see pics of the 6 and your green machine out and about. Happy Memorial Day! Thanks Brad! It was a busy last couple of days but I’m just now getting a chance to relax a little. Well, in between toothbrushing bits and pieces of the Integra engine bay. You know me. Such a neat little town! Lost of history. Sounds like a place I need to check out. Definitely worth the day-trip, even if just for the food. Next time I’ll remember my passport and take a quick look inside Agua Prieta on the other side of the border.